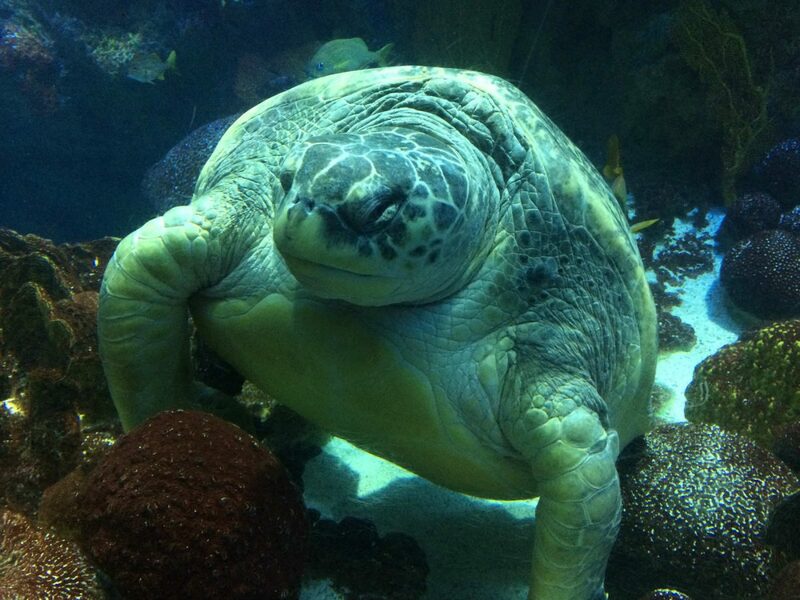 At the time of posting, the Aquarium plans to be open on Sunday, March 4. That’s after the nor’easter walloped New England with powerful gusts, fierce rain, and floods. The animals and building on Central Wharf fared OK in the storm. 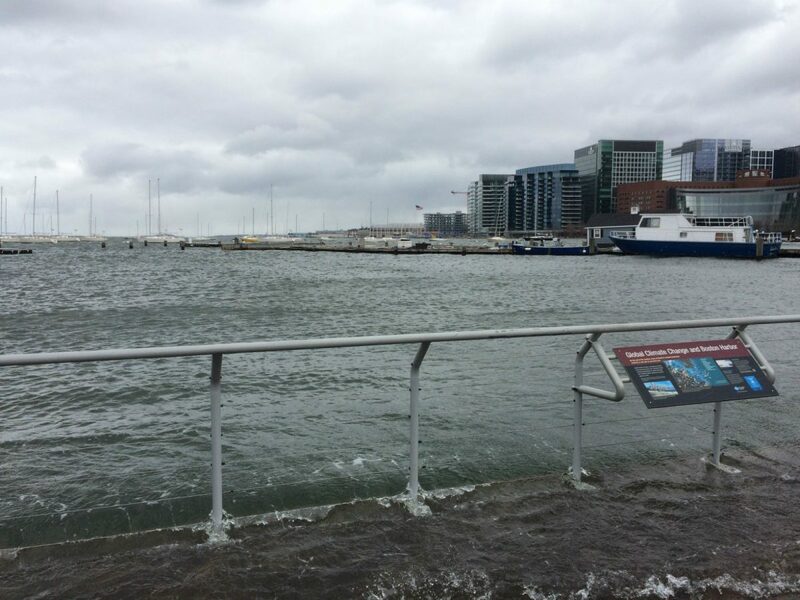 But those floods were definitely a sight down on Boston’s waterfront. Here are a few pictures of the flooding now that the water has receded. 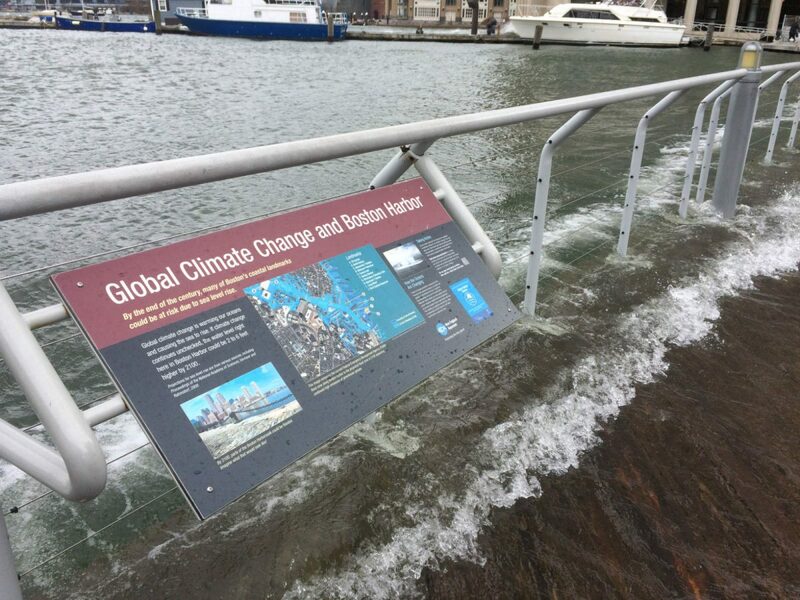 Sea level rise meets storm surge and spills over the Harborwalk. 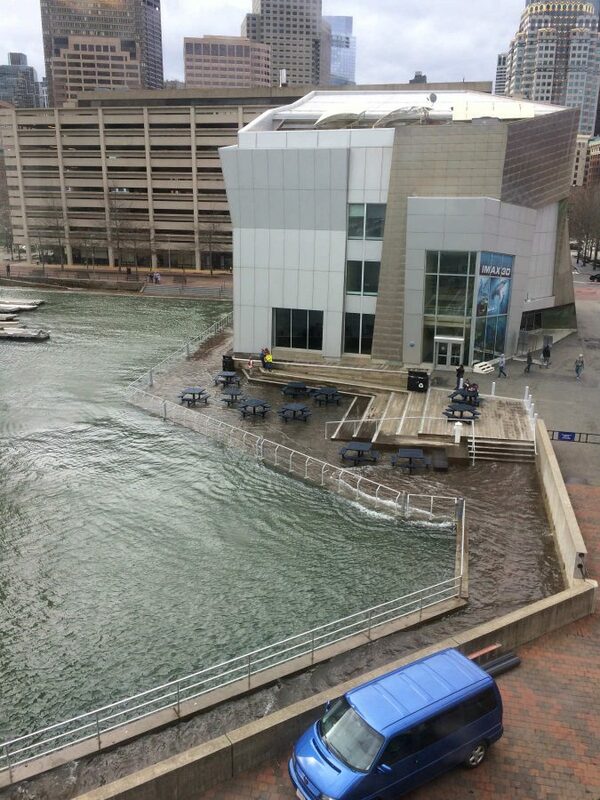 Boston Harbor surges over the Harborwalk and around the IMAX Theatre on Boston Harbor. Blissfully unaware of the flooding outside, Myrtle settles down for a nap. At this point, we are planning to be open tomorrow, Sunday, March 4. But it’s always a good idea to check our website for any alerts about our hours before making your trip to the Aquarium. We made it through OK and hope those affected by the storm have a speedy recovery.